The show in Istanbul just ended today leaving us with a feeling of hope. Turkiye is one of the important markets of the security industry; made strong by its geographical location, vastness and economic power. ISAF attracted vendors from various sectors from CCTV, fire security, turnstiles, gates, etc and biometrics certainly is not a novel technology in this show. People are already familiar with this solution or at least know that fingerprint products are available. 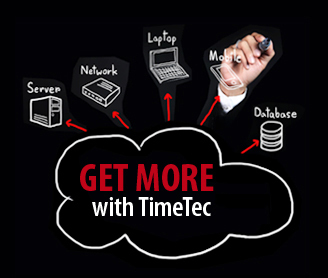 The main challenge now is finding a right partner which could carry FingerTec's brand essence without compromising on price factor significantly. This time we didn't hire any translator because the one that came to work didn't know English. She understands Turkish and understands English (as what she signaled to me) but she couldn't speak any English except "so-so" and then she flashed a big smile to us. We had to send her back without any replacement. And surprisingly, people who are interested to deal with us came back with their translator to make things easy for both parties. Marketing your products in English in Turkey is a no-brainer. It is our mission to find a partner that can communicate in English but we will definitely do our marketing and resources in Turkish to capture this market. Translations of our software and hardware in Turkish are done so far and we will move on to other data sheets and materials. We already made a few acquaintances in Turkey to assist us on good translations. ISAF is definitely a good platform for the security industry and we are proud to be apart of this growing market. 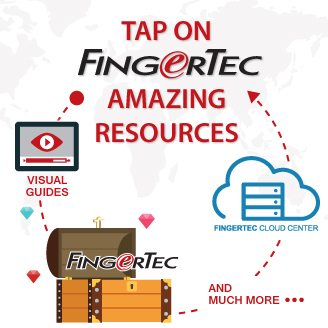 All we could do now is to be hopeful that we could secure a good partner that could bring FingerTec to a greater height in this great country. Any party interested, please email me at info@fingertec.com. I am in awe by the majestic yet melancholy views of Istanbul city. A place so rich in history and culture once glorified by its gigantic and powerful empire and then succumbed to the fall of the westernized Ottoman Empire, now is a desired tourist destination the world over. The beauty of Istanbul at both sides of the Bosphorus River is as subtle as the drawing of Melling, understated but impactful. I left out a sigh for not being able to capture the desired snapshots of Istanbul, the feel of the city is not justified by any photographs. The landmarks of this great city like the Hagia Sophia, the Sultanahmet Blue Mosque, the Hippodrome, would leave all visitors with at least a tinge of admiration regardless of one’s religion, to the level of dedication and passion this city had on beauty, intricate details and on arts itself. Modern design is just an excuse word to escape being labeled as lazy, in my opinion. Every door is carved with intricate details, the mimbar, the prayer area of the Sultan – everything exudes handcraftsmanship at its highest level of perfection. A visit to Sultanahmet Blue Mosque confirms the same attitude the Istanbullus possesed in creating a monumental landmark. The grand mosque was built in a mere 5 years by 10,000 workers has every detail of precision and delicate designs to make it stand out even after the tests of time. The art and culture are deeply rooted in the heart and soul of the Istanbullus. I stood in the middle of the night admiring the beautiful mosaic piece on the wall of its Metro station. I find joy strolling the city of Istanbul with the rests of millions visitors admiring the bits and pieces of the city’s uniqueness. I couldn’t let go of the fact that we have come so far in ignoring the needs in paying attention to small details, and to always strive for excellence in everything that we do, even how trivial. Today’s generation are so void, engulfed and engaged on Facebook and the Internet without realizing that we have lost so much of our own identity and pride over time. What would be our legacy to the next generation and would they be in awe when they think about us and the stories we left behind? Naturally, everybody would want to be with their family during any holiday and festive seasons. Be it Christmas, Eid, New Year, Diwali, Thanksgivings for example, they have never ceased to gather families near and far. Work becomes secondary in holiday seasons; family is always priority. We saw tens of millions of Chinese pack train stations in big cities of China to return home for Lunar New Year’s family reunion, and the same trend infected the world during these joyous occasions. At the time I'm writing this entry, the country is celebrating Eid ul-Fitr, the biggest Muslim celebration in Malaysia and other Muslim countries, which creates a huge balik kampung (back to hometown) wave. The traffics on all highways are heavy and bumper to bumper from north to south, and most of our Muslim colleagues are taking extra leaves, and non-Muslim staff have to shoulder more responsibilities during this period. In FingerTec “family”, the non-Malay staff would willingly help with the workload of the Malay colleagues that have to fulfill their family obligation during festive season; and likewise, in Lunar New Year celebration, Malay colleagues would do the same for the Chinese co-workers. Over the years also, we have gradually developed FingerTec products into a kind of family concept. 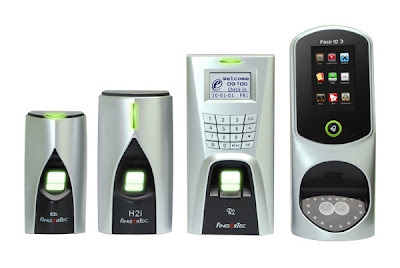 For example, card access control models, the Kadex series comprising of Kadex, m-Kadex and i-Kadex, is not only having similarities in function, but the outlook also make it easier for customers to identify them from the same family. For our R2 and R2i models, not only that they resemble each other in appearance, the R2i also has to be paired with R2 to bring it to life. Now, we are ready to extend these two bestseller models with another two more family members named H2i and FaceID 3. The attempt to produce H2i was far than easy. We had scrapped the prototype a year ago because two must-have features were absent. A new mould was initiated to accommodate the crucial features, after relentless discussions and arguments with the R&D and marketing department. The only consensus we have is that the H2i should be in the R2 family because of the R2i design resemblance. For FaceID 3, it will be grouped together with FaceID 2 under the same category in all-model brochure, but I purposely place it side-by-side here with R2 series because it inherits the same design concept to strengthen FingerTec image for access control industry. FaceID 3 is not having a fingerprint module; it focuses on face recognition and RFID card module, a decision confidently made after our market research. One thing always leads to another. It started with Norana Johar, our FingerTec Senior Marketing Manager who wanted to conduct a simple Reseller Survey from what she had learned after attending a marketing seminar. Anything good for FingerTec always gets a green light. Our findings were eventually published in our last month’s newsletter issue. But the story did not end there. There was one feedback from a reseller in Latin America that particularly bothered us. He said he was happy with our prompt reply within 24 hours, but sometimes realtime handholding supports through Skype or MSN is important to solve certain technical problems. With a different time zone of 11 hours, he has never had the chance to enjoy a virtual face-to-face support. So, we retrieved all the necessary data from our CRM system, and analyzed the support pattern, and eventually found out that the inbound emails from 6pm-10pm are quite significant in quantity; and approximately 40% of inbound mails are received throughout the non-office hours and 17% throughout the entire day. We concluded that by extending our support hours until 10 pm, we could provide longer and prompter support to customers in the Middle East and Europe during their office hours, and this could also cover at least a few valuable morning hours for North and South America customers after they step into their offices. 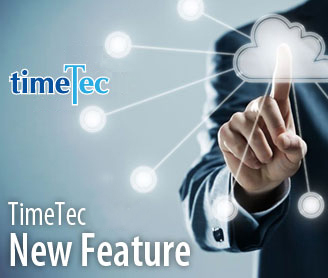 With an increasing number of customers around the world, the decision is timely. This is one of the good news’ published in our newsletter this month. And we have already put it into action since the 1st of September 2010. One thing leads to another, this time, I am glad that we have again improved our support system to better serve a vast growing customer base.